There is an Arts Council PDF of the expert's report, which discusses Koch's drawing in relation to the export ban Waverley criteria. Here is its explanation of the particular significance in art historical terms of The Schmadribach Waterfall, which Koch developed into two oil paintings, one now in Munich, the other in Leipzig. 'Koch’s Schmadribach Waterfall fundamentally revised the previously accepted norms of landscape. 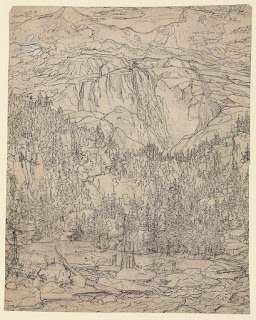 Seemingly inspired by Albrecht Altdorfer’s Battle of Alexander (1529, Munich, Alte Pinakothek), he envisaged a panoramic ‘world landscape’ embodying the entirety of nature’s system as well as man’s place within it. Koch’s interpretation of Alpine scenery was more influential on the next generation of artists than the formulations of C.D. Friedrich or J.M.W. Turner. 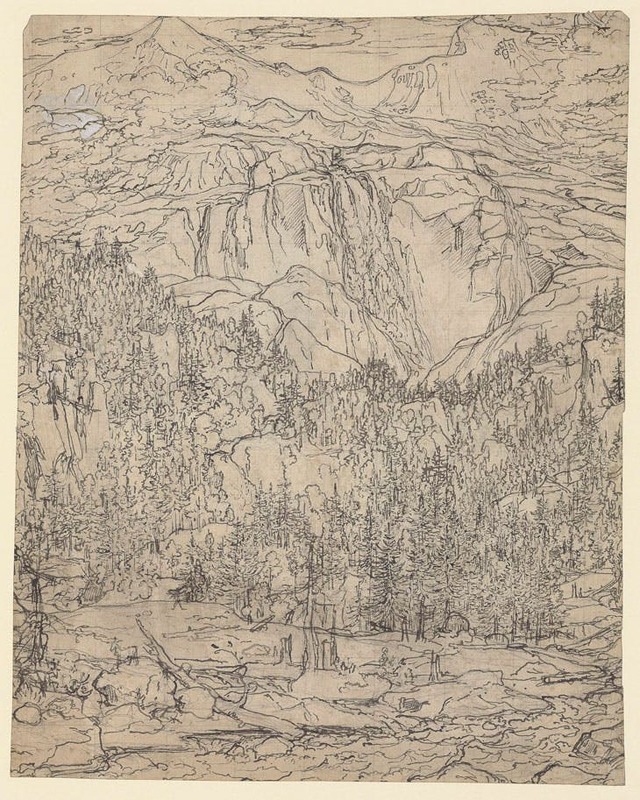 For example, Ludwig Richter (1803-84) paid direct homage to The Schmadribach Waterfall in his The Watzmann (1824, Munich, Neue Pinakothek). Looking at what else was on sale from his collection, I see there was a whole range of landscape sketches costing a lot less than £68,000. If I'd had £10,000 to spare I might have been able to pick up a couple myself... One can dream, although I have to admit that such valuable objects wouldn't really be safe in our house, where they would be at risk of being knocked off the wall during a lightsaber fight, splattered with Warhammer paint or hit by a flying emoji cushion.